Travels Along the Mekong: Holiday in Cambodia! The post title is in reference to the classic Dead Kennedy's song (1980) of the same name. In our case our Holiday in Cambodia is about to end. Tomorrow we have a 10 hour bus ride from Phnom Penh to the border town of Stung Treng (one horse town from the sounds of it). 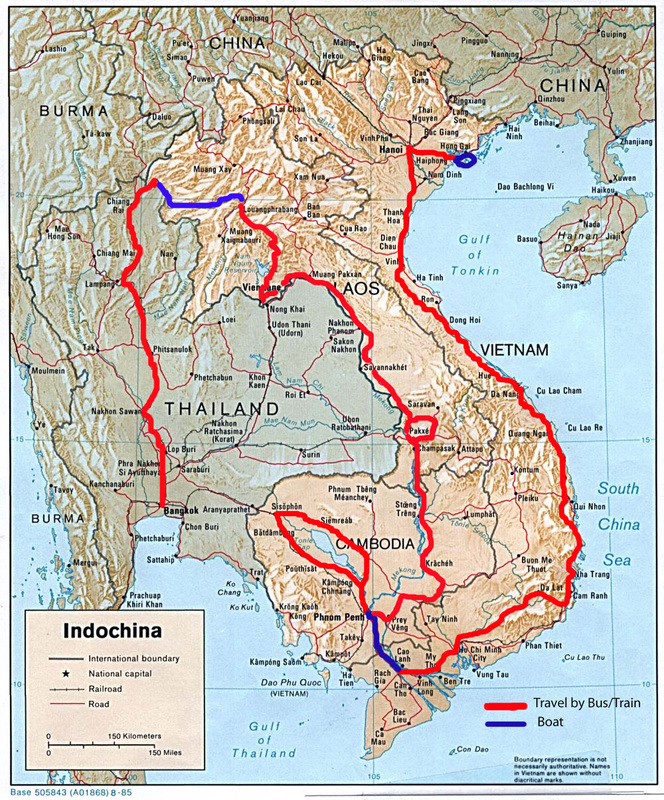 From there we'll try and organize transport across the Cambodia/Lao border and onwards to our first destination in Laos the 4000 Islands. These are a group of islands in the middle of the Mekong that people pretty much just go to chill at. There isn't even electricity on most of the islands...not sure how long we'll be there without AC! Needless to say we will probably be without internet for a few days until we get further into Laos and get to the southern capital of Pakse.